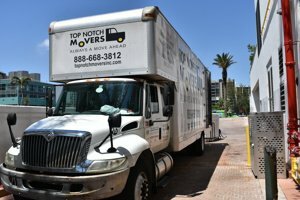 Local movers, all there is to know about us | Top Notch Movers Inc.
Local movers | Top Notch Movers Inc.
We are, a moving company, located within the radius of a hundred miles from your home. 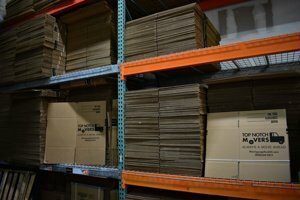 Our services include relocation, packing, storage, handling of unique or antique items and purging of the old furniture. Local movers offer hourly rates, timely response, and almost immediate service. Also, you can visit our office and talk to us in person. What is the difference between local and long-distance movers? Local movers won’t charge you based on weight, space, or the item count. Usually, we bill based on the amount of time taken to do your move. Also, local movers don’t do the inventory of the items and only work with the smaller size trucks. Looking for local movers? It is easy to find them if you know where to look for them. Nowadays it is hard to find a reliable and dependable moving company. Fortunately, we can provide you with all the necessary information on how to get it done. First, let’s begin by pointing out some of the necessary qualifications. Licensed by the department of transportation and the state. Insured enough to provide sufficient reimbursement in the case of an accident. Located in the county or the state in which you are in. Now you know what qualifies a local mover, go ahead and check if the mover of your choice can meet the required standards. Check with your local movers about their licenses and accreditations. For every state, there are different resources to look thru. 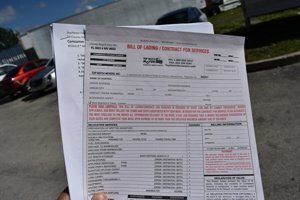 In this post, we will go thru the list for the Florida local movers. To do all the checks you need to call your mover and ask to provide you with all the local and state licenses. Everyone must have USDOT number, state license number, and a county license number. For example, let’s take Top Notch Movers information. Our USDOT number is 2431847, you can look up all the details on us by going to the USDOT Company Snapshot page, inputting our number and searching. Local license for moves will be MV653. Unfortunately, Broward County won’t provide the necessary information online, but you can always call them and check if the company that you’ve chosen is eligible to do business in the county. When registering with the state, local movers such as Top Notch Movers should get an IM number. Our is IM2241. to check if it is valid, or to look up any other moving company, go to the website of the Department of Agriculture and Consumer Services. Input the name of the mover, or their license number and click the search button. After making sure that the movers you’ve chosen are licensed you can continue with the next step of the research. Find a moving company with enough insurance to handle your local move. What is enough insurance? For everyone, it can vary drastically. Therefore, you must understand what exactly you are looking for. Cost of the insurance depends on the type of property that you are living in or the value of the goods that you have to move. First, we would like to explain a bit more about insurance for your move. Moving companies are required to assume some basic liability by carrying legal liability valuation and insurance coverage. Moving companies must also carry cargo legal liability coverage (loss or damage to household goods resulting from the negligence of the mover, its employees or agents, in an amount not less than $10,000 per incident). $50,000 per occurrence for a commercial motor vehicle with a gross weight of fewer than 35,000 pounds. The law also provides for a limitation on the release of the mover’s liability for the value of a shipper’s goods at a rate not less than 60 cents per pound, per article. Your mover must disclose this limitation of liability to you, in writing, at the time the estimate or contract for services is executed and prior to any services being provided to you. Your mover must also inform you of the opportunity to reject or select additional valuation for goods being moved. Local movers, insured? Yes, but is it enough? In simple words, for any truck that weighs less than 35,000 pounds movers must have $50,000 dollars of coverage. This way they can offer reimbursement in case of an accident. Such accidents can include damage to the property or bodily injury. When it comes to the loss or substantial damage to your household goods as a result of the move by the employees or agents of the company, you can be entitled to the reimbursement of not less than $10,000 per incident. This depends on the level of coverage your movers carry. Be aware, most of the local movers will only take a limited liability for the value of your goods at a rate not less than 0.60 cents per pound, per article. In South Florida, the majority of the local movers will offer this coverage, to avoid additional expense and make your move more affordable to you. However, sometimes it can be a good idea to purchase additional insurance. Usually, we suggest our clients purchase additional protection when it is needed. This can help a lot when they are looking to move antiques, valuables and other items with a high valuation. Confusing? Don’t worry. Let us clarify it for you. Think of what you have to move, and how far are you moving it to. This can help you to make the right decision. Go ahead and move all your valuables such as art and electronics yourself. It might be a good idea to do so. Make sure to call them, check their coverage options and prices. Bottom line. If you are moving within the county, and don’t have any expensive stuff, we suggest going with a standard liability. This can save you money and can be beneficial to your overall moving budget. On the other hand, if you are moving within the state and try to relocate your favorite china and antique items we recommend getting additional coverage. Local movers, were should I look for them? Fairly simple questions with a simple answer. Online will be the best place to look for local movers. Google maps may be the best place for you. Google maps provide the location, rating, hours and much more information about the local business. We suggest looking at the Google maps before looking anywhere else. Check out our listing in Google Maps. When you’ve got your local movers, make sure to check their reputation. Sites like Yelp, Angie’s list or HomeAdvisor can help. Read reviews about the company, and responses from the management. This way it will be easier to sort out all the information you need. 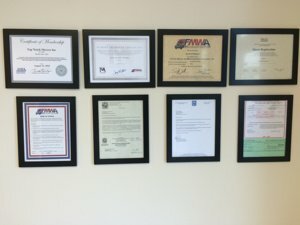 Keep in mind, that some of the reviews on the sites like movers.com or movingreviews.com can be fabricated. Their interface allows to create an unlimited amount of accounts and leave reviews with no filtration. Therefore, we can’t suggest these resources. On the other hand, Yelp, Angie’s list, and HomeAdvisor have much better protection against the fraud, and their filtration is better than anywhere else. Movers or other companies cannot buy reviews and cannot pay to be in the highlight. This is why we prefer those sites. The estimate provided by the movers. Local moves, and how to understand for what do local movers charge. There isn’t a lot of difference between the types of estimates between the long distance or local movers. However, long distance movers charge based on weight, size, or item count. On the other hand, local movers charge based on an hourly rate. In most cases, to get an accurate estimate you need to make sure that the person who talks to you on the phone knows his job. When talking to the representative, make sure to explain all the details of your move and your concerns. Most of all, describe your furniture well, mention the details for the fragile items. What are the zip codes that you are moving from and to? What type of property you have, a house, an apartment or maybe a townhome. Are there any stairs or elevators involved? Mention all the glass tops, glass doors and any fragile item that movers need to pack and move. Indicate how many bedrooms you have, how many beds, and what sizes are those beds. With the information provided by you, any experienced representative of a moving company will be able to offer you an accurate estimate. Keep in mind, with local movers you can only expect a bulk estimate, accurate but not a guarantee. I would suggest having spare cash available on the day of your move in case it takes longer time than expected. I don’t like the idea of a bulk estimate. We have a solution for you! In case you are looking for a binding, flat rate estimate, we suggest requesting a walk-thru with a moving company. After a walk-thru, the moving company will be able to provide you with a guaranteed price. This will allow you to calculate your budget better. We suggest asking for a visual estimate in case you have three or more bedrooms to move. Remember, the more goods you have, the harder it is to provide you with an accurate price over the phone. Companies can provide you with a detailed estimate and tell you that everything you need is included. However, we suggest reading and examine your estimate carefully before booking the date. Some of the movers use shady tactics to get your business. The last thing you need on the day of your move is to deal with the additional charges and the movers. Relocation can be hectic as it is, why make it more complicated? Look thru the estimate and check if necessary services are included in your offer. What exactly do you need to check? Do movers provide disassembly and reassembly of the furniture as a part of the estimate? 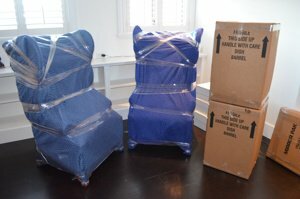 Packing of the furniture with pads included in the cost of the move? If there is an extra cost for stairs, long carry or elevator use. Are there any additional charges for the truck usage, miles or gas? Are there any fees for the processing of the payment? Checking with the movers about these services can play a crucial role in your decision. 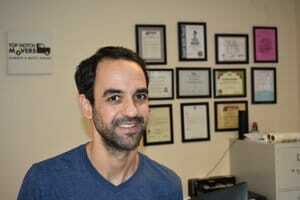 Some of the local movers offer better rates but have tons of hidden fee’s. We prefer to provide our clients with all the necessary information upfront. This way you don’t have to worry about being charged for every single thing. Local movers must be open to the conversation. Last, but not least important. Local movers usually depend on their clients and care about their reputation. When calling, talk to the customer service and moving experts. See how they talk to you and if they are responsive. Movers have to be very friendly and be able to assist with any questions that you as a customer might have. Moving involves a lot of people and scheduling. With the right customer service and dispatch department, your move will be pleasant and hassle-free. Proper follow thru, not every minute call. Prior to booking, dispatch department must inform you of a date and time available for you to choose. When booked, receipt of the deposit and the copy of the estimate must be provided. Dispatch department must call you a day before your move to confirm. Crew leader must call you at least 30 minutes in advance before the arrival. Customer service must be responsive and polite when answering your concerns if such appear. When the job is done, movers need to provide you with all the receipts and a copy of a final bill. In the end, customer service needs to follow up with you to check how was your overall experience. These are essential requirements for any successful and worry-free move. Unfortunately, many of the companies in Florida won’t be able to communicate with you as described. Most of the businesses won’t pay much attention to the request of the client after the job is booked. This is why it is so hard to find reliable local movers in Florida, or anywhere else in the U.S. Good thing that we know the company who can provide you with this level of services. 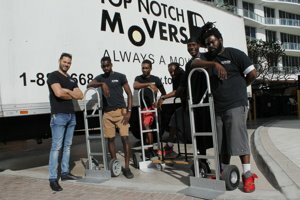 Top Notch Movers, top-rated local movers in South Florida. When we opened in 2009, we began to provide moving services for the customers in South Florida. Most of our moves were local and within the tri-county area. We learned a lot about our clients since then. This helped us to improve and provide an exceptional level of service. Our company meets all the standards of the moving industry. Fully licensed, insured and well equipped. At Top Notch Movers we provide a wide variety of services at the most affordable cost. 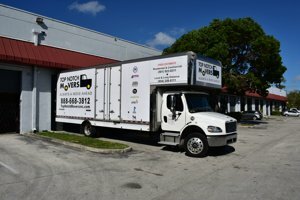 To be better of assistance, Top Notch Movers have three different locations across South Florida for your moving needs. Lauderhill, Pembroke Pines, and Boynton Beach. This allows us to offer competitive rates and better arrival timeframes than most of the moving companies in South Florida. We hope that you liked our article about the local movers. If you are looking for more informative blogs and information regarding the relocation services, we suggest following us on our social networks. This way you can stay up to date with the most informative posts about the movers. You can find more information related to the topic, read our blog. 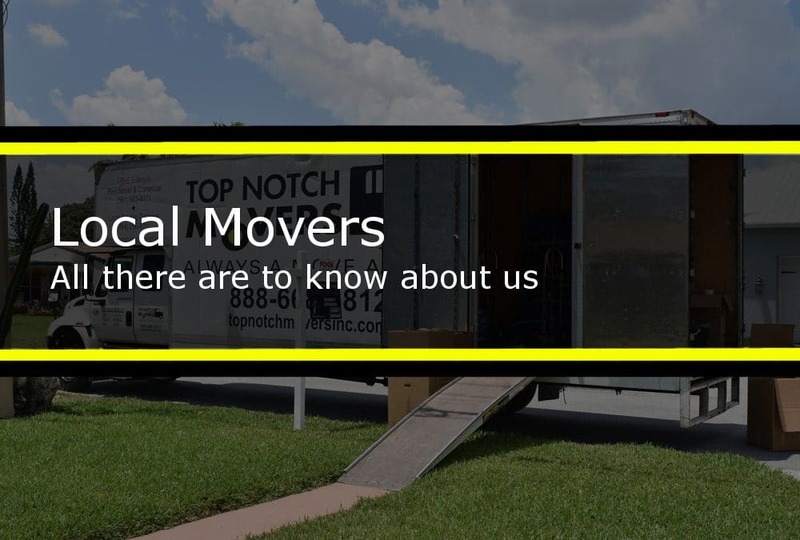 To get more information about Top Notch Movers, call our office today. Call us, or e-mail today. Our experienced personnel will be happy to assist with any of your questions or moving needs. After all, we are always a move ahead.